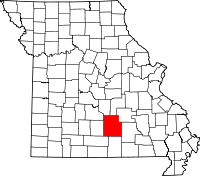 Texas County is, similar to its namesake, the largest county in Missouri as far as total land area. The entire area is Texas themed with the town of Houston as the county seat. The county was established in 1845, right around the time the Republic of Texas ceased being a republic and transitioned into an actual state. The Texas County Historical Society has a number of records on its website, as well as providing links to other resources and organizations, such as the Ozark Genealogical Society which serves the entire Ozark region. The Recorder of Deeds department, at 210 North Grand Avenue in Suite 202 in Houston has a number of records at its office, as well, with many of them dating back to 1850. The office has staff that will aid in locating specific records and documents.